Tweet I wanted to see a full on Black Sabbath reunion with everybody including Bill Ward. When it was announced that he wouldn’t be joining the guys I lost interest in the reunion. It’s funny though, because if Slash and Axl Rose got together with three random guys and called in Guns n Roses, I’d be there in a heartbeat so call me a hypocrite. When "13" came out I gave it a listen and thought to myself, ‘Goddammit this is amazing.’ So I had to buy it. 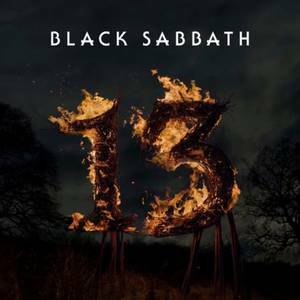 "13" takes us back to the Ozzy Sabbath era. It doesn’t sound like an Ozzy record, it doesn’t sound like a Heaven and Hell era Sabbath record, it sounds like an old school Ozzy era Black Sabbath album. The songs on "13" have similar song structures as a lot of those early Sabbath songs. I really didn’t expect Black Sabbath to put out an album of this caliber. When a classic rock band releases a new album most people don’t care about it, but when we’ve been waiting for years/decades for an album something in us changes. Van Halen did it last year and it blew us away and now Sabbath is doing it this year, but I’d argue that this Sabbath record will be more relevant in 10 years than last years Van Halen album. If you’re a Sabbath fan and you’re supporting Bill Ward, I have all the respect in the world for you. This is a great Sabbath record. Bill Ward appreciates your support, but he doesn’t want you to short change yourself. At least give this record a listen, because it’s flat out amazing, solid, perfect, whatever positive description you want to use, it fits. Slayer is moving on without Dave Lombardo, Dream Theater without Mike Portnoy. Hell, Black Sabbath made some great records without Ozzy. It’s not an ideal situation, but that doesn’t change the fact that the record is great. Give it a listen.